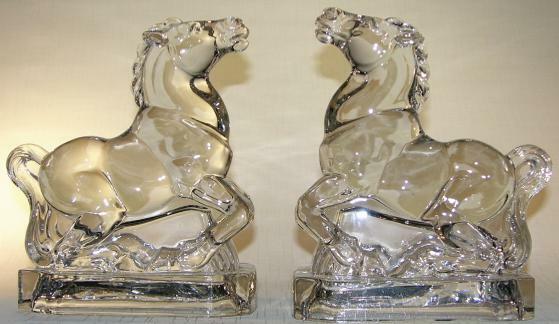 “Horse, Head Up” — New Martinsville Glass - Circa 1940. Crystal. Measures 8” high x 6-1/2” long x 3-1/2” deep. Weighs 9 lbs. the pair. Fluoresces bright yellow under UV light. 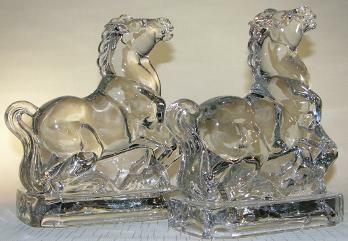 These heavy, muscular horses are quite spectacular and extremely rare. A stunning pair!